We've seen a lot of soccer jerseys in the many years we have been offering them. 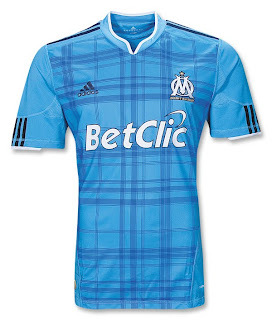 But we have heretofore never seen a plaid soccer jersey! 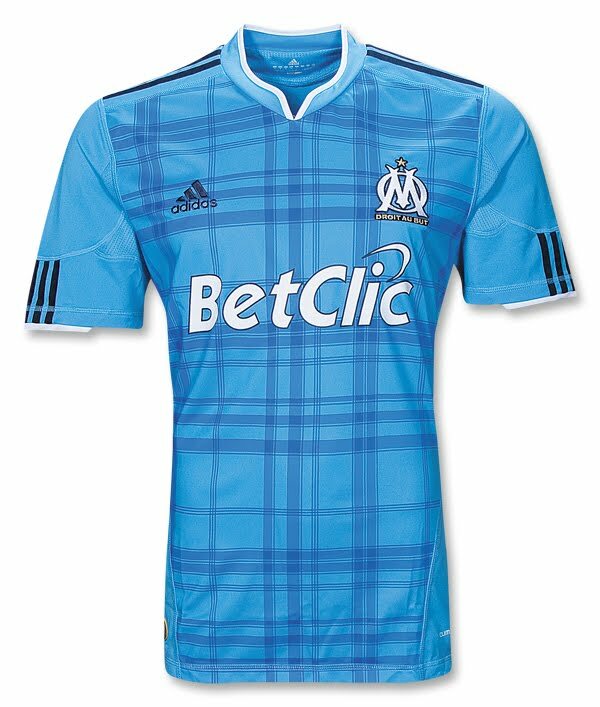 The new shirt features a very original, sublimated plaid design on the front, with embroidered Olympique Marseille team badge embroidered over your heart and adidas logo on the other side, and screened BetClic sponsor logo on center. It's made with adidas ClimaCool® - advanced material engineered to reduce heat and moisture build-up, allowing increased comfort and performance – to keep you feeling fresh no matter how long you play, train and cheer on your favorite French soccer club.